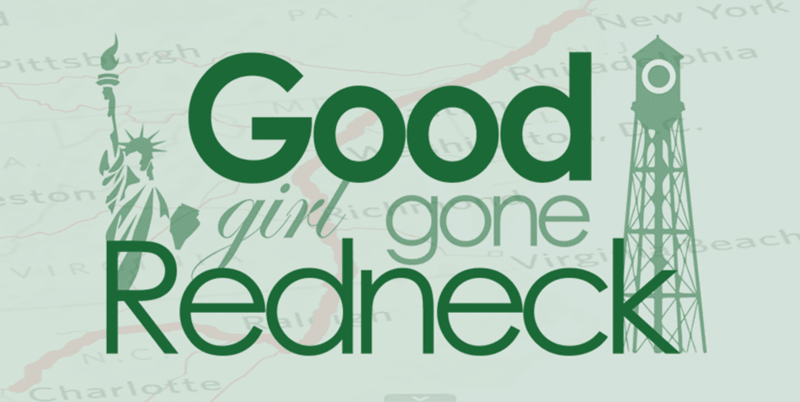 Good Girl Gone Redneck: Mission Possible - Do you think? Mission Possible - Do you think? As someone who grew up in the New York City school system, what the Success Academy Charter Schools are doing in New York amazes me. And as someone with family members who teach and have worked in NYC public schools for years, I know that they, too, would be amazed at the work done in these schools, the support given those attending AND teaching there. Lastly, as someone who worked as a social worker with children who attended public schools in New York I find myself wishing that "my kids" had been given a chance to attend this kind of school. As is indicated in the summary below, one of the important aspects of the Success Academies is the focus on the adults. So much work is done with the teachers. They are forever learning. Learning how to work with and address their students. Investing in the adults as this program does does so much for the children. The relationships set between educators involved in the program - with one another and their students - it's incomparable to anything I've heard of before. It's pretty amazing. Mission Possible offers practical classroom tested ideas for dramatically improving teaching and learning. Through detailed descriptions of how to keep students challenged and engaged, how to ensure that the adults are constantly learning, and how to use the Success Academies' THINK literacy program, the authors describe what can be accomplished when the schools shift their focus to improving the adults' performance. The first Success Academy Charter School was set up in the middle of Harlem. Yes. Harlem. I know what people think when they think of Harlem. I interned in Spanish Harlem for an entire year. I loved it. But people reacted in one way when they heard Harlem, and it wasn't a favorable one. But my experience was wonderful. Many of my kids were fantastic. But they struggled. They struggled a lot. One of the biggest issues I had to address with them was school behavior. Lack of focus. Acting out. Inability to learn. How is it possible that so many children are labeled as unable to learn? So sad. So frustrating. This didn't change much when I started working in the Flatbush area of Brooklyn. I had a similar client base of minority children attending NYC public schools. One of my teenagers could not read. Barely a word. Granted, she was in a special education class, but for me, as her social worker - who should have been working to address her history of abuse and family issues - to be working with her on reading? It just shouldn't have been. So many teenagers who I found myself reading TO. I did it because I knew that it would empower her. It wasn't the most important aspect of my job, but it was critical to establishing a relationship with her. To help her to open up and trust me. Imagine how things would be for our kids today if they trusted their teachers to teach them as they do in the Success Academy schools? So different. I can imagine it. I can hope for it. And I can also hope that my own daughter winds up with educators throughout her school years that are as strong and powerful as these. I know school is not always the answer. I know that teaching starts at home. I know this and I get this. But once your children - OUR children - are of school-age, well, there is more to raising them than what they get from us. Don't you think? Granted, there are teachers who skate by. Teachers who don't work to their fullest abilities, and don't push their students or teach their students. And they fail our children. I don't include them in those who deserve respect and recognition. Honestly, I would say that they probably need a program like this one more than some of the students do. So either way perhaps we fail many of our teachers. When they do well we don't thank them enough. When they do poorly, do we work with them at all? Can we? Should we? Who is this we that I'm speaking of? Honestly, I don't know. I suppose it'd be easy to say that programs like these would be the solution needed across the board, but who am I to say that? 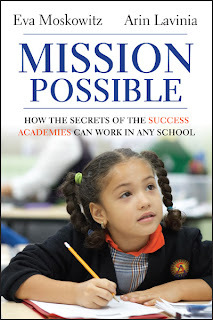 Mission Possible is a book written by Eva Mosklowitz and Arin Lavinia. 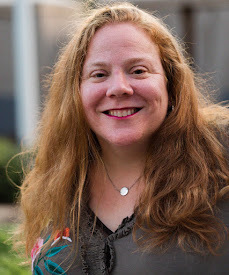 Eva is the Founder and CEO of Success Academy Charter Schools. Arin designed and developed THINK Literacy, a common sense approach to balanced literacy. To find out more about Eva and her mission, check out her Facebook page or look for her on Twitter. If you're interested in speaking with her directly about her story, her goals and her book, please feel free to shoot her a tweet directly with your question or thoughts. I'm planning on doing the same. To learn more about this, the Mission Possible that is happening for today's kids, check out the book. You can purchase your own copy or you can enter to win the one I have to give away. Just enter below by leaving me a comment with the name of your favorite teacher from childhood. What grade were you in? And if you'd like an extra entry tweet about this giveaway and I'm happy to credit you with one if you comment with the URL. * I was compensated for writing this post and provided a copy of the book to give away to one of my readers. All expressed opinions are completely my own. Thank you for standing up for teachers. It is a very rewarding job but very hard work. Love your beautiful blog! "are of school-age, well, there is more to raising them than what they get from us"
And then there are the children who won't get anything from their parents, whether deliberate or circumstantial. Those kids deserve the same level of opportunity as my own children. We are a society together, right?! These schools sound so cool. Even though charter schools down here make me a little twitchy.